At Freeman Eyecare, our eyewear department includes a large selection of designer and standard frames and non-prescription sunglasses. Our Board Certified Optician will help you select the style, shape, and color of eye glasses or sunglasses right for you from our large selection of frames. 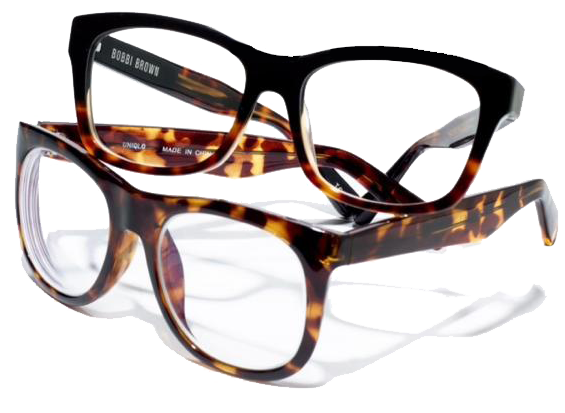 We also provide a Comprehensive Two Year Warranty on our prescription eyeglasses. Based on your visual needs, lifestyle and prescription our ABO certified optician will help you select the type of lenses best suited for you. Our optical laboratory is fully automated with the latest technology to cut your prescription lenses to fit your frames. We use only superior quality prescription lenses to ensure our patients receive the clearest vision possible. We provide lenses from a variety of manufactures in order to meet patient needs. We have an in-house finishing lab that allows us to offer faster service. In fact, some prescriptions can be ready the same day. Dr. Freeman also fits a wide variety of contact lenses in the latest designs and materials, including bifocal lenses and those for astigmatism and other hard to fit contact lenses. Dr. Freeman is certified to fit Paragon CRT lenses. These specially designed lenses are worn while sleeping to provide clear vision without correction during waking hours. CRT is a safe, cost effective alternative to refractive surgery. Whether you need eye glasses, sunglasses, CRT correction, contact lenses, laser vision correction, or treatment of eye disease or injury, come visit Freeman Eyecare and experience the difference. Because we use only first quality frames and lenses we are happy to offer a Comprehensive Two Year Warranty on our eyeglasses. There is no additional charge for this warranty.